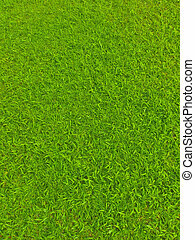 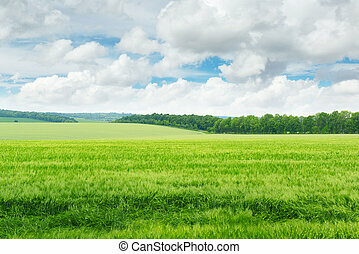 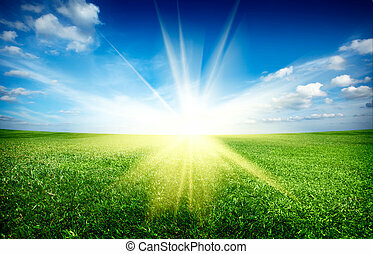 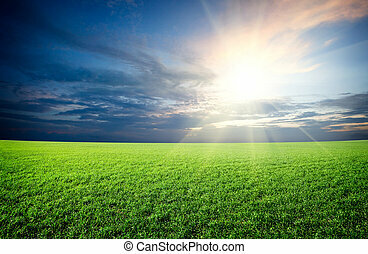 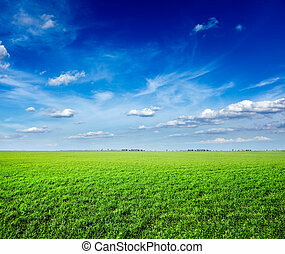 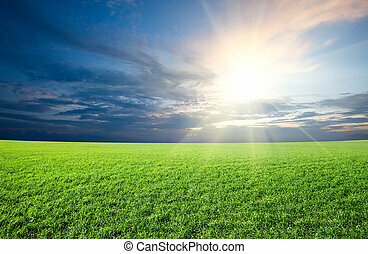 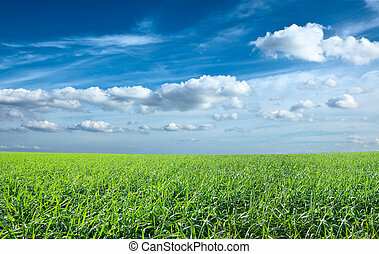 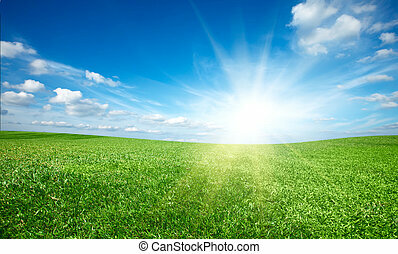 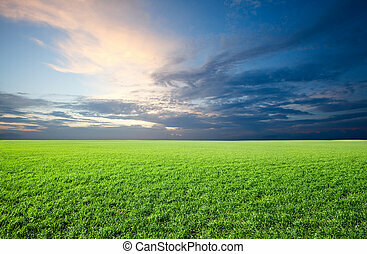 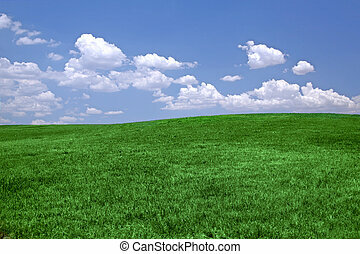 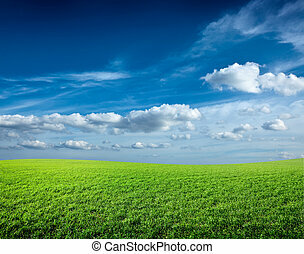 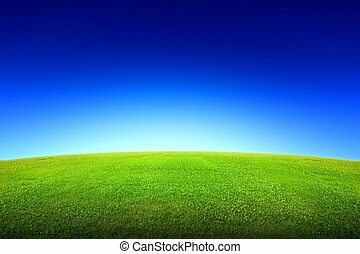 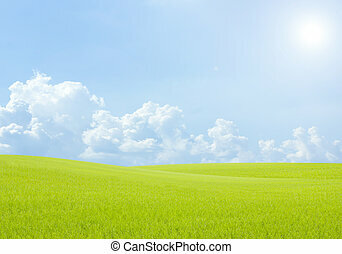 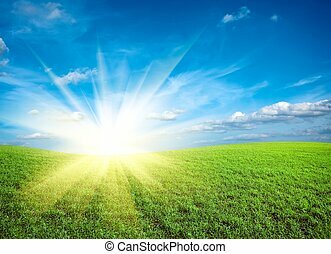 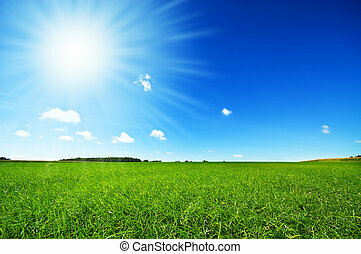 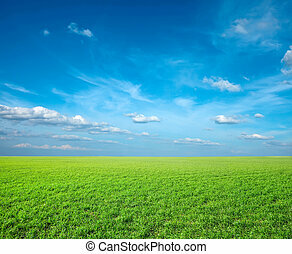 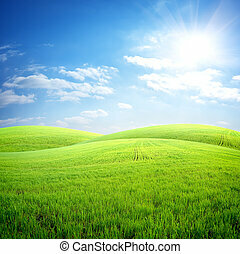 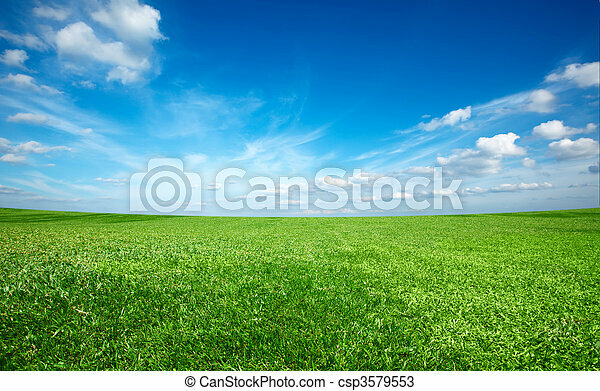 Field of green fresh grass under blue sky. 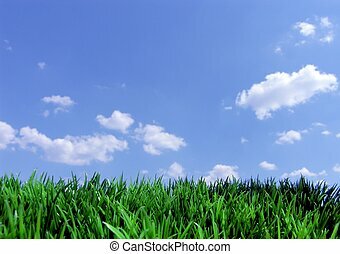 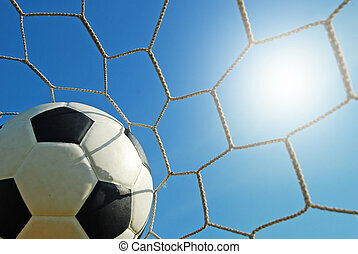 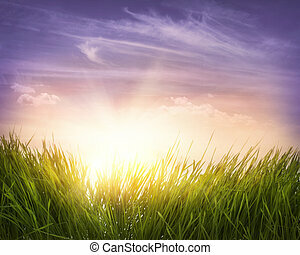 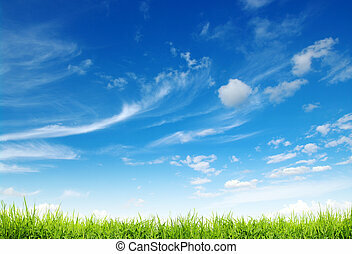 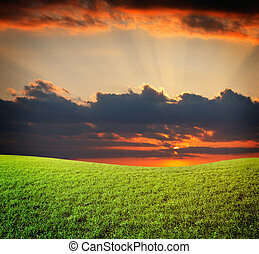 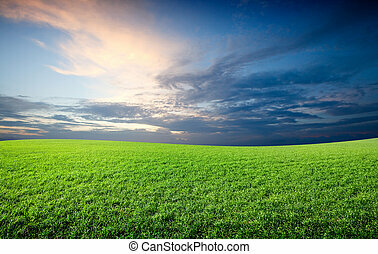 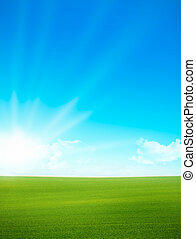 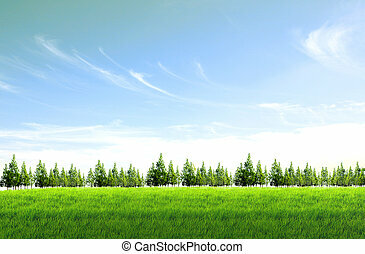 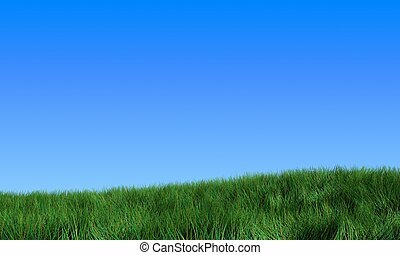 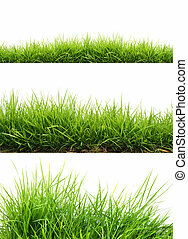 Vertical landscape with green grass and blue sky. 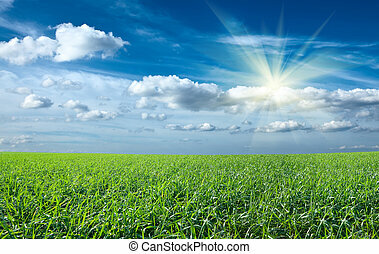 on the left side there is the sun and some clouds. 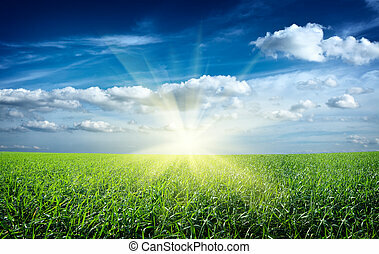 Photo was taken on the morning.